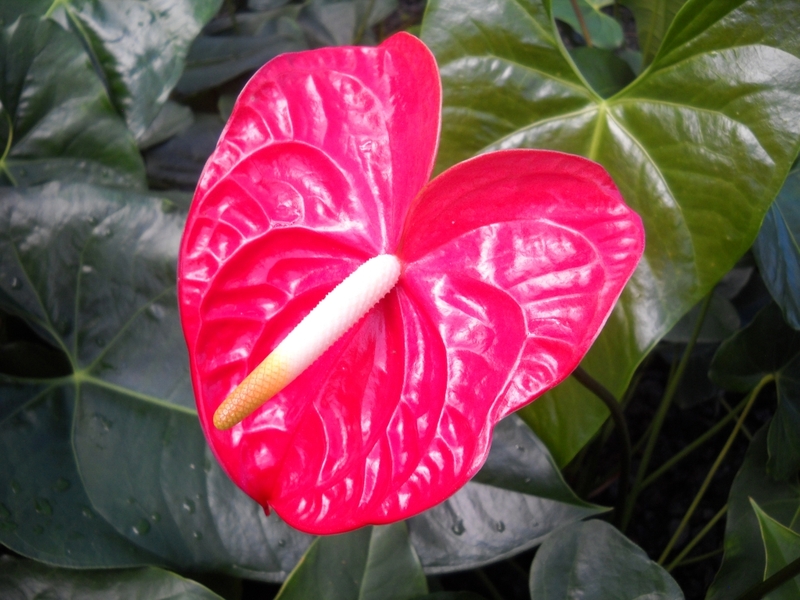 Anthurium flowers are excellent flowers to use in floral arrangements. They look great and they last a long time. They will outlast just about any other flower that is in the arrangement. Here are my thoughts on anthurium arrangements. These flower arrangements are great for many different types of occasions. I have seen them used for holidays, birthdays and office parties. In Hawaii, they are commonly used for weddings, funerals and, of course, for luaus. And if you are having a tiki party, you have to have them; I think that they are almost mandatory. These flowers work well with other tropical flowers and foliage. White or blush colored ones work well with green ti leaves. Red ones blend nicely with red ti leaves. They also look great when arranged with ginger or orchid flowers. And larger anthuriums look great with bird of paradise flowers. There are two ways to buy anthurium arrangements. You can get them through your local flower shop, either by visiting them in person or by buying through a cooperative that works with local flower shops like FTD. Or you can buy them online directly from where they are grown. If you choose the former, you will usually receive a fully assembled arrangement. While if you choose the latter, you will typically receive loose flowers that you will have to arrange by yourself. It’s actually very easy to arrange these flowers by yourself. When you receive them, clip off half an inch from the end of their stems. This will clear any blockages and allow them to absorb water. Then place them in a container of water and mist them with water from a spray bottle. Next set a block of floral foam in the container that you are going to display them in and add water. Take the tallest flower and press it into the foam near the center and work your way outward with smaller flowers, so that the tallest flowers are in the center and the smallest are on the sides.